The centre received a chiding from the Supreme Court this Friday. The court comprising of a bench of justices Madan B Lokur and U U Lalit while hearing a PIL filed by ABVP highlighting shortage of hostels for students belonging to SC/ST category curtly stated that centre should not try and devise schemes it cannot implement. The court expressed its disappointment at the sorry state of affairs of implementation of Babu Jagjivan Ram Chhatrawas Yojana. Babu Jagjivan Ram Chhatrawas Yojana is sponsored by the central government and is being implemented by the Ministry of Social Justice and Empowerment. The State Governments/Union Territory Administrations and the Central & State Universities/institutions will be eligible for central assistance. The object of the Scheme was to provide residential accommodation facilities to SC boys and girls studying in middle schools, higher secondary schools, colleges and Universities. The Scheme was sought to be implemented through the State Governments/Union Territory Administrations and the Central & State Universities/institutions and they would be provided eligible central assistance as per provision of the Scheme, both for fresh construction of hostel buildings and for expansion of the existing hostel facilities. While the additional solicitor General representing the Centre tried to shift the blame on to the states, the Court clearly directed Centre to ensure that scheme which was framed by it was infact properly implemented. The court directed that construction of the hostels should indeed be expedited. Even though Centre was at the receiving end of the Court’s dictum and one could quickly reach to the conclusion of judicial overreach. However one cannot ignore the fact that social security schemes in India form an important chunk of GDP and either the states should have a larger say in allocating funds to respective schemes or the centre should ensure that’s schemes formulated by it are properly implemented. But what is interesting is that both the executive and judiciary have been in tandem while agreeing to the above logic in principle. It is anticipated that the finance Minister’s budget may well in store have an increased leeway in terms of budget for the states to independently make their own decisions in formulating schemes. Prime Minister Narendra Modi, who as Gujarat chief minister argued that states know best to utilize the money. Several states including Punjab, Rajasthan, Madhya Pradesh and Maharashtra have for long been demanding such flexibility in funding. The budget may reduce centrally sponsored schemes to single digit numbers. The expenditure management commission under former RBI governor Bimal Jalan recently submitted a report recommending that such schemes should be parred. 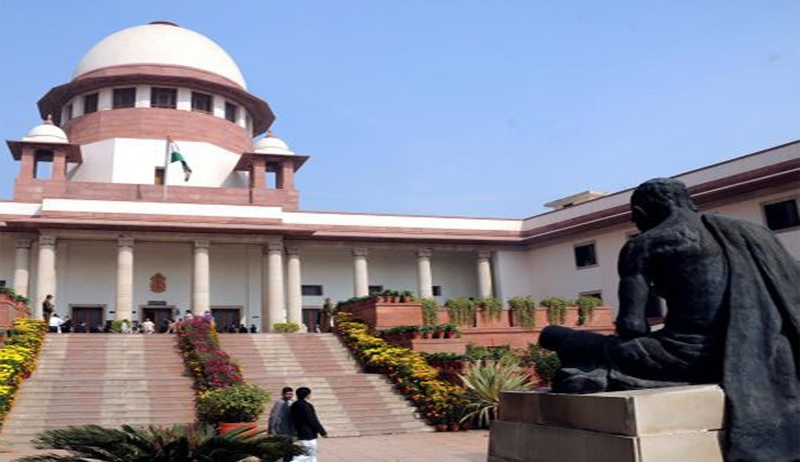 These steps by both the judiciary and executive could well be in line with the report by the World Bank anaylizing the effectiveness of social security schemes in India. The report also recommended that centrally sponsored schemes need to be practically devised and that states should have increased leeway in terms of fund allocation to various schemes.